This section is dedicated to essays, interesting stories, useful information and profiles of colleagues who are involved in interesting projects for the furtherance of society’s welfare. The first foray included a story set in the homeland with a Christmas background. In this Newsletter previously, some real estate was taken up a few years ago to write tribute to previous colleagues, Rodrigue Mortel, MD and Fritz Francois, MD. With this issue, we are paying homage to Vladimir Berthaud, MD. We invite our colleagues to submit names of persons worthy of mention so they can be profiled and or to submit write-ups about interesting persons or projects that they are familiar with. Let’s each contribute and come up with interesting tidbits… or nuggets… that can be appreciated by all. I have known Vladimir for more than thirty years but I was left slack-jaw when he forwarded his bio to me for this profile. He was introduced to me by a classmate who remained back home and who attended medical school with him in Haiti and he was described as “a person who rarely attends lectures but always scores at the top of the class, spending his time with his hobby, photography.” What was not said was he simultaneously obtained degrees from Institut National d’Administration, de Gestion et des Hautes Études Internationales and Institut Haïtien de Statistique. Moving forward, it is a safe bet that he always ranks at the top of any academic undertaking but he will not volunteer the information. He emigrated to the US in 1983 and did training at Maimonides Hospital in Surgery, at Kingsbrook Jewsih Hospital in Internal Medicine and then at Harlem Hospital in Infectious Diseases. He trained under the world-famous Wafaa El-Sadr and Harold Neu from Columbia University Presbyterian Hospital and Harlem Hospital. He did an additional year of Infectious Diseases Fellowship at Memorial Sloan Kettering Hospital where he acquired further expertise in immunosuppressed patients from autologous transplants, neutropenia from chemotherapy as well as AIDS. From 1992 till 2001, he was an attending physician at Harlem Hospital and a faculty member at Columbia University School of Medicine. Along the way, he collected an MPH from Columbia University and then a string of Board certifications: Internal Medicine, Infectious Diseases, Public Health, Tropical Medicine & Travelers’ Health and Fellowships: American College of Physicians, Infectious Diseases Society of America. Meharry Community Wellness Center in Nashville as the Founding Executive Director that has since been garnering the exclusive distinction of HIV/AIDS Center of Excellence, a very strict set of criteria that needs to be evaluated on a yearly basis. The Center receives more than a dozen public grants annually. First ever AIDS Clinic at L’Hôpital de l’Université d’État d’Haïti under the PEPFAR/Global AIDS Project. This clinic is still operating without his direct input, a goal he has set out to accomplish upon its creation. Consultant for Tennessee Department of Corrections and implemented an innovative telemedicine practice that is cost effective and offers highest quality of care to patients afflicted with HIV, hepatitis, and tuberculosis. In fact, he is in charge of 50% of the pharmacy budget allocated by the state for care of the incarcerated population. His involvement in patient’s care encompasses the whole spectrum. He is the Associate Director of the Clinical Discovery Core of the Tennessee Center for AIDS Research since 2014. It is a joint venture among Meharry, Vanderbilt and Tennessee Department of Health. It fosters bench research, as well as translational research, a mixture of bench and clinical research. 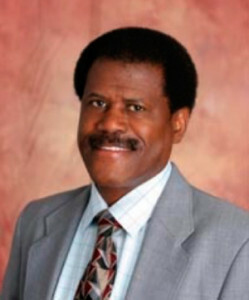 In addition, he is a member of HIV/AIDS Centers of Excellence Committee and ADAP formulary Committee, Tennessee Department of Health, member of the Technical Advisory Group, Human Immunodeficiency Virus (HIV)/Outpatient Skin and Soft Tissue Infections (SSTI), Health Care Innovation Initiative, Tennessee Health Care Finance and Administration and the Mayor’s Task Force for Elimination of HIV in Nashville. Beyond the New World border, his influence is also being felt. As of July 2017, he is the Clinical Director of PEPFAR/HBCU Consortium Project in Africa focusing on AIDS. Zambia is the first targeted country due to its high prevalence of HIV/AIDS cases. Eventually it will spread to three other African countries. Never resting on his laurels, he keeps venturing out into other endeavors. Since 1998, he has been part of the Military Reserve and has served at Fort Campbell (famed to be the center that houses the elite Navy SEALs Team 6) and West Point where he became a Military Academy Liaison Officer for many years. Of course, wherever he goes, awards find their way to him. 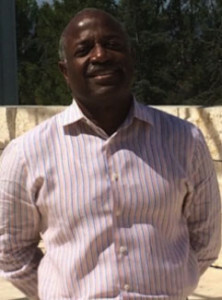 He participated in some very competitive national contests and won the Johnson and Johnson Health Care Executive Award at The UCLA John Anderson Graduate School of Business, NIH/NIMH Health Disparities Scholarship, and the National Library of Medicine Fellowship in Medical Informatics. National Board of Medical Examiners (NBME). It gives national tests to medical students. National Board of Public Health Examiners. He participated in the creation of the blueprint for Board Certification in Public Health. He also serves as Article Consultant for Interpretation of the Medical literature Project for both NBME and McMaster University in Canada and President of the Minority Interest Group of the Infectious Diseases Society of America. Such a bio could entitle one to be pompous but he is as self-effacing as it can get and can even be self-deprecating. He is an avid collector of music, spanning a broad spectrum with a library of about 30,000 titles, including rare CDs, LPs and cassettes but he is the first one to say he can’t play any instrument worth a lick! Photography is also a hobby of his that he doesn’t indulge much in due to limited time. However, he always makes time to read, be it technical/scientific literature or literary works….